FRIDAY is Cinco de Mayo, and we have a great party planned! 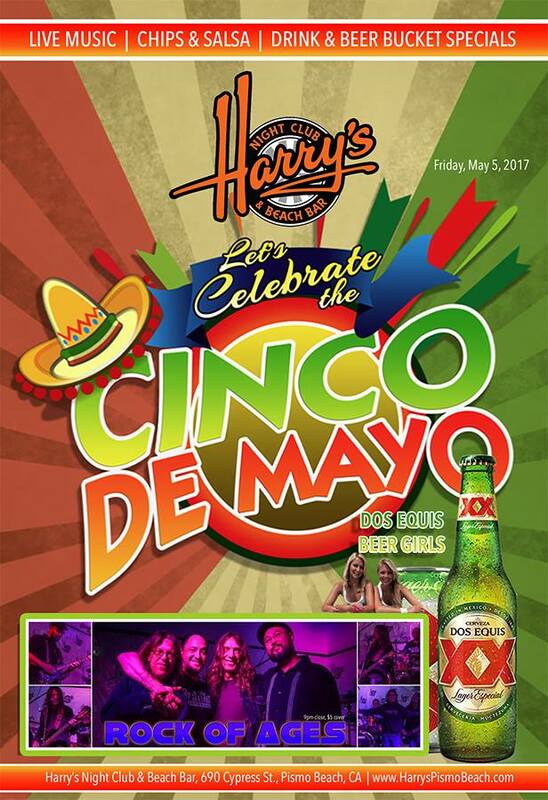 We'll have chips & salsa, the beer girls will be here handing out swag, lots of great drink specials, and live music by ROCK OF AGES at 9pm! 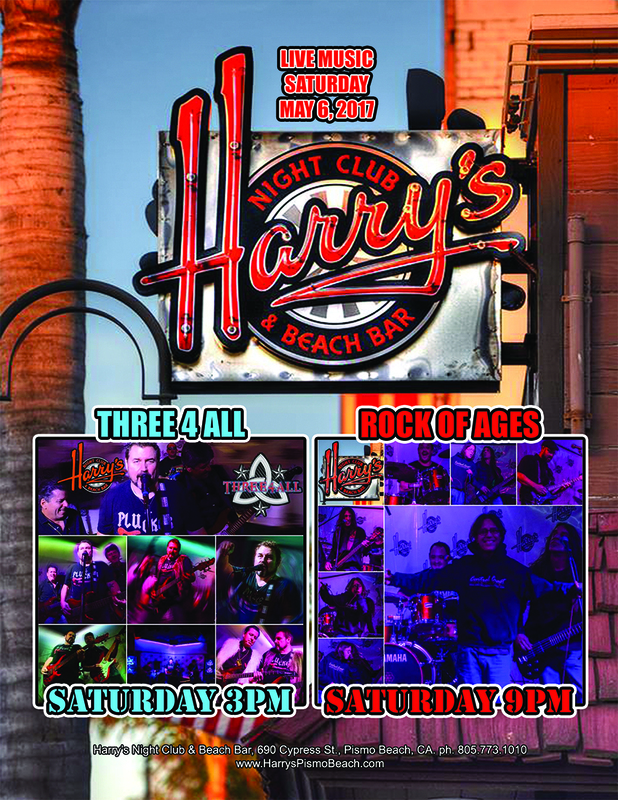 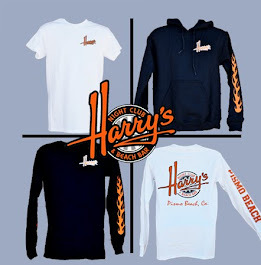 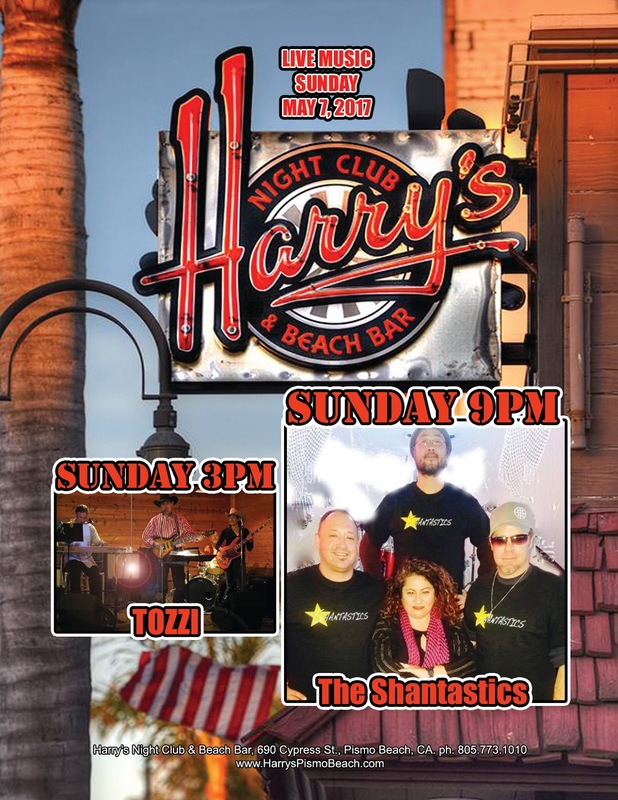 SATURDAY, we have 2 of the Central Coast's favorite bands at Harry's! 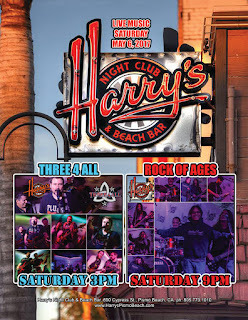 THREE 4 ALL plays 3-7:30 (free show) and ROCK OF AGES comes on at 9pm to close! 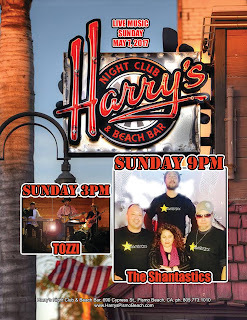 SUNDAY we have another great day of music with TOZZI 3-7:30 and the SHANTASTICS 9pm-close!